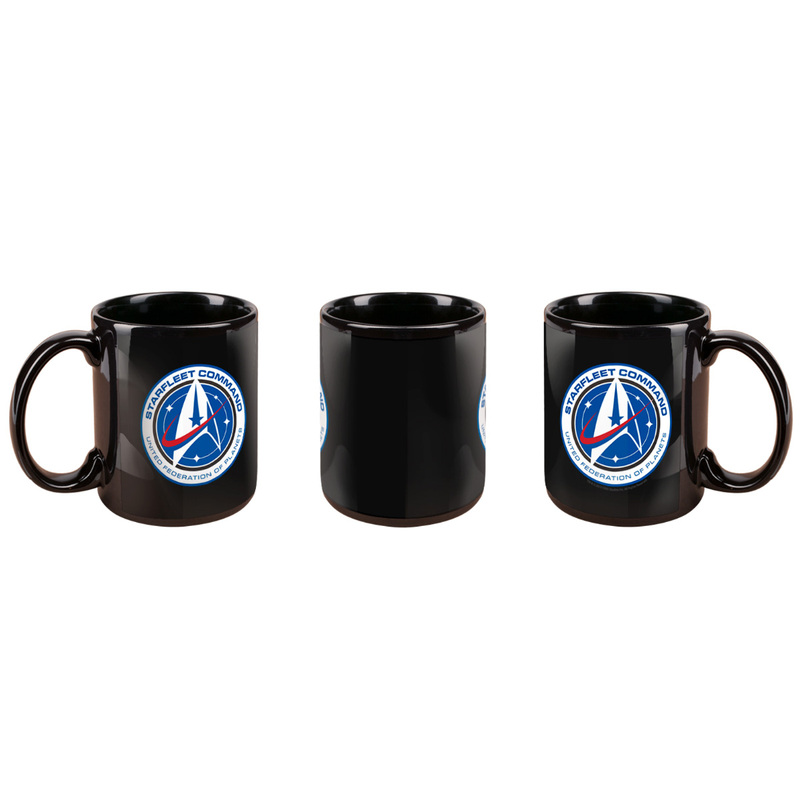 Enter the ranks of Starfleet with the Star Trek Discovery Starfleet Command Mug. This black ceramic mug is great for sipping your morning coffee in. Featuring the badge on the front, support Starfleet and the newest series. This is a beautiful mug! 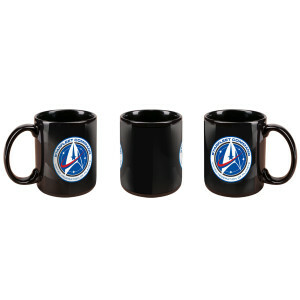 Image on mug is crisp and very high in detail. Very glossy. Love it! I can sum my review up in two words: Love it! I love this mug. Classy logo, and quality of mug is excellent. Shipment was on time as promised, and arrived in good condition. Highly recommend.